Imagine splitting up your slide into 3 equal parts, both horizontally and vertically. 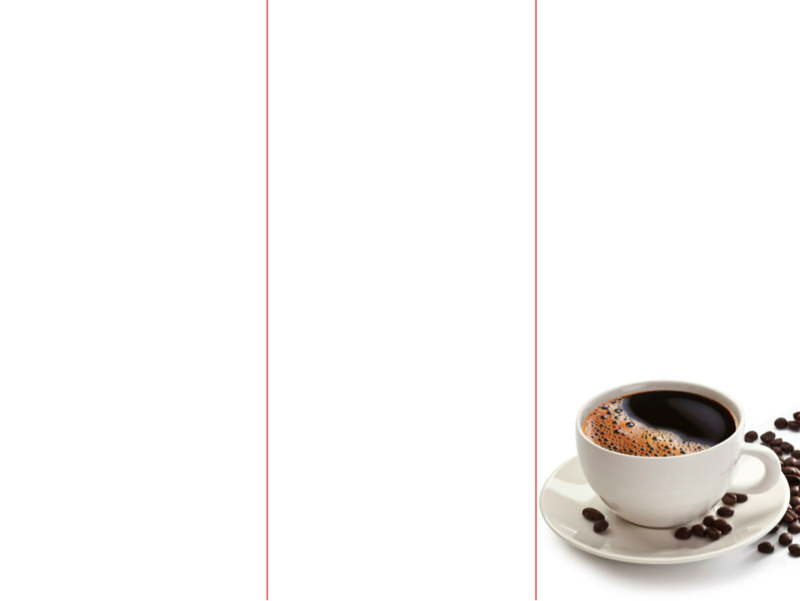 You can then use this grid to place and align your subject matter, optimizing the visual experience. You can apply this approach both to how you view your slides moving forward as well as how you take pictures. It's a simple technique that separates the professionals from the amateurs. 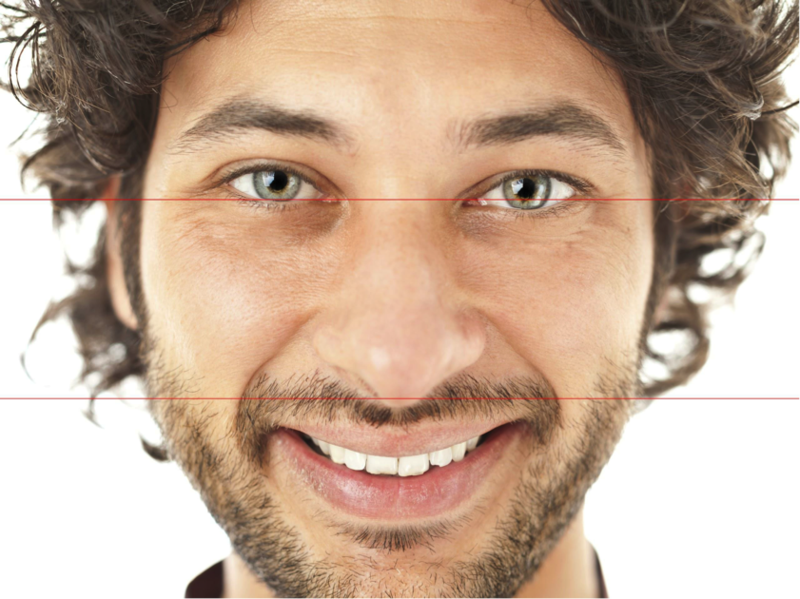 When viewing your slides or camera viewfinder with this "thirds" lens (no pun intended), make sure you always place the eyes of your subject in the upper third. Whether it be a stock photo of a model or an image of your cat, aim to place the eyes in the top row. It makes a remarkable difference. 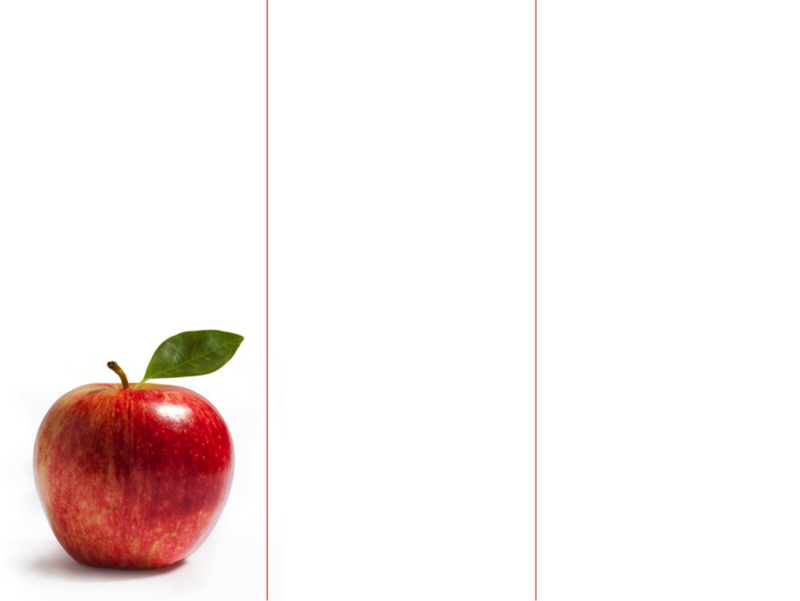 If your subject doesn't have eyes, you should still aim to place the object in the left, right, top or bottom. 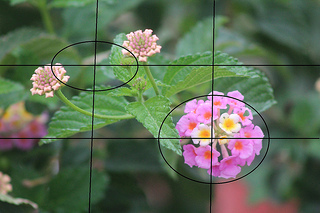 When using the rule of thirds vertically, always set objects off to the left or right - never the middle. This will allow you to utilize what designers refer to as whitespace , which is a design element that provides a look of simplicity and a clutter-free environment for the object that is being displayed. You'll see the value right away as you can see below. These rules are also applicable to text since whitespace and the rule of thirds works with everything. Give this simple rule a try. You may just look like a professional presentation designer after all. Scott Schwertly is the author of How to Be a Presentation God and CEO of Ethos3, a Nashville, TN-based presentation boutique providing professional presentation design and training for national and international clients ranging from Fortune 500 companies to branded individuals like Guy Kawasaki. If Scott is not working with his team building presentations, you will find him in the pool, on the bike, or on a long run. Scott lives in Nashville, TN with his wife and three dogs. He has a B.A. and M.B.A. from Harding University. The Rule of Thirds by Jeffrey Scism is licensed under a Creative Commons Attribution 4.0 International License. Based on a work at http://www.flickr.com/photos/jgscism/8382600641/.